Welcome to the New RHP "Specials" page. All budget D3 and Fuelie castings now come with 2.11" intake valves. Budget ported to 315 / 180 cfm at .600"/ .500" lift with particular attention paid to low and mid lift flow. Castings will be worth a minimum of 40 HP in a stock application and will easily support 1 hp per cubic inch with out a mondo cam. They are ready to bolt on and rock and roll. Cost is $1,495.00 plus shipping. EFI castings are done on an exchange basis. Bolt on an easy 40 to 50 hp or more.. BRAND NEW UPDATED 460 EFI CASTING NOW AVAILABLE !!! 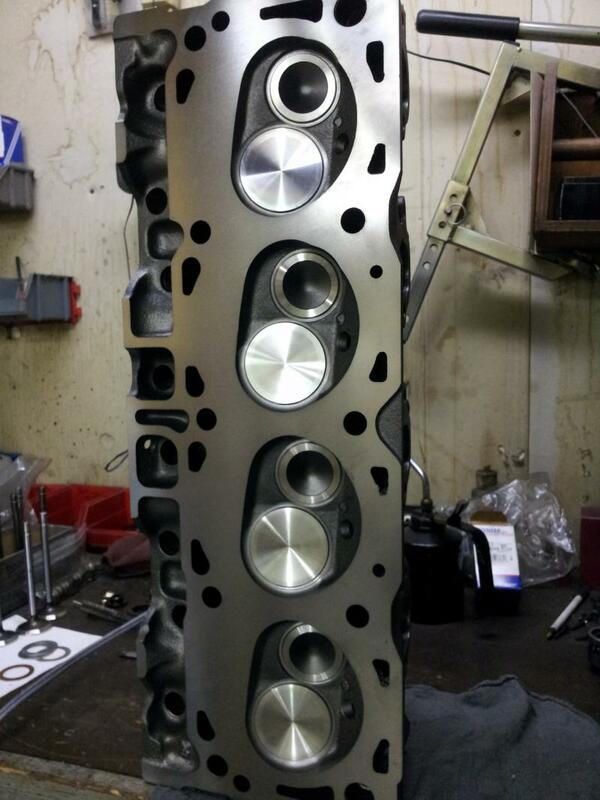 Budget ported to flow 290 / 183 @ .600" lift. 3 angle performance valve job. Casstings offer a thicker deck, stronger exhaust flange ears, hard seats on BOTH intake and exhaust. Thicker port walls. Decked to set c/r as needed. Cost to do YOUR castings on an exchange basis with shipping both ways is $1,675.00 to your door. EASILY ADD 100+ HP AND 80+ TQ AT THE REAR WHEELS WHEN FREE BREATHING EXHAUST, LOW RESTRICTION INTAKE AND ADJUSTABLE FUEL PRESSURE REGULATOR ARE USED. ADD A 61 MM BBK THROTTLE BODY FOR EVEN BETTER GAINS.